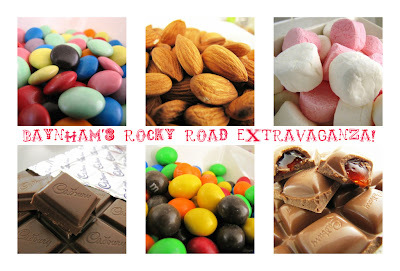 Rocky Road sound delightful! As a teacher, I would love to receive gifts like that one!! Stop with the mugs already!! I can only drink so much but boy can I eat!! Have you tried Rocky Road ice cream? Chocolate ice cream with marshmallows and chopped walnuts mixed in. Yummy! Irish cadburys is the very best Gina!! I saw Nigella make some recently and then you suggested it too, so I will have to make it and let you know what we think! !